McConnell/Brue/Flynn has long set the standard for providing high-quality content to instructors and students alike. With the 21st edition, we’ve pushed the envelope by providing dynamic and adaptive learning tools through Connect® and SmartBook®. We also understand that instructors teach macro in different ways and to meet that need we’ve provided a two-path macro approach to give faculty flexibility to cover the AD/AS or the Keynesian model. 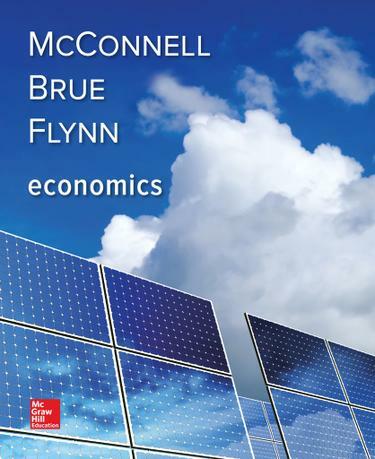 Our comprehensive step-by-step approach provides students with a building block method to learning economics where the authors are patient in explaining the theory and models thoroughly before jumping ahead. The new 21st edition is comprehensive, analytical, and challenging yet fully accessible to a wide range of students. We now have an expanded and enhanced Connect Economics platform that provides a host of tutorial Videos and engaging Interactive Graphing questions featuring real data.